Discussion in 'Motors' started by ahar, Jan 12, 2019. 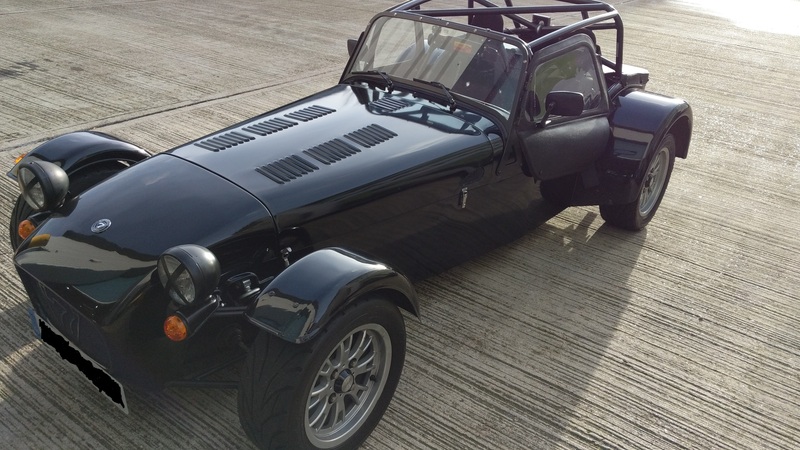 Picked up a 2016 Caterham Roadsport (125bhp, R version) this morning. First track day with it is booked for the 16th Feb but thought I would have a blat around the local area after driving it back home. Getting in and out, particularly with a full cage requires planning and practice. There is no way to get in gracefully with the hood on, you just have to kind of leap in head first and shuffle around. When its raining, you get less wet the faster you go. There's an incentive! Earplugs needed for the motorway. The constant drone is awful when there's nothing to distract you. Driving on back roads is sublime - low to the ground, great communication from the chassis and suspension, no power steering getting in the way. So so much fun, even at lower speeds. The low weight plus naturally aspirated engine is a joy to behold - throttle response is perfect, pulling in a lovely linear way up through the rev range. Bliss! The engine bay is lovely and roomy and well set out - simple maintenance tasks should be easy. Can't wait to get it out on track next month. Future upgrades I'm thinking of - shift lights, a power upgrade to 152 bhp, maybe better brakes (vented discs etc), and a trailer to take it around tracks further from home. Let the mid life crisis begin! Would love to have a go in one of these on some of the local back roads. The sensation of being able to wring its neck, without instantly hitting licence losing speeds, mixed with the agility and grip. Perfect drivers car. Anyway, enjoy it! Which Aladdin's cave is that?? Very nice! 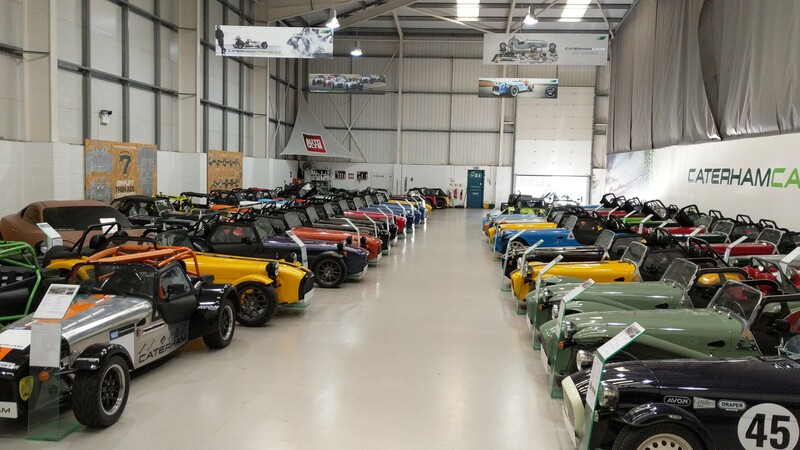 I've always wanted a Westfield since working on one a few years ago. Lovely. Bet it goes well! 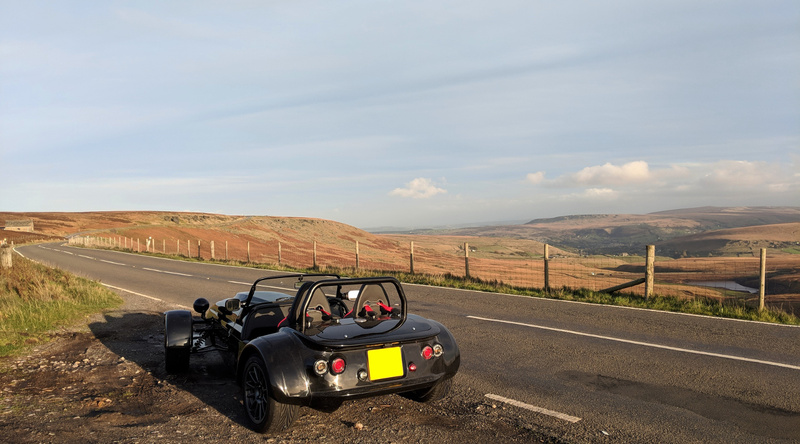 First time I ever drove a Caterham was in the damp frost at a November PalmerSport day, so I congratulate your large cojones for a) buying this in January, and b) taking it on a good hoon! If only the garage wasn't full of "things" I'd love to get something like this! And I'm sure it doesn't need to be said, but don't bin it They are very lively in the wet, even more so when the roads and tyres are cold! What's that weird brown car on the left at the back? Looks like a clay model car, probably taken directly from the design studio. Looks like a small version of the 540C/570S, probably a past concept car. Those clay models are worth loads. Clay model is C120, what would've been Caterham's version of the new Alpine A110. Remembers trip to dealer September 2018 and the muscle spasms trying to get in and out of none SV models. Why not buy an SV? I did think about it actually, but went off the idea. I do that all the time. Love it, want one badly but can’t see it happening for a long time. So I took an R310 and R360 our on road one regular and one SV. Though I fit in regular it was proper snug so I’d probably get the SV to allow some grow room but after driving it on the road the idea of buying quickly diminished. I have huge respect to anyone who drives one on the road as you feel so exposed should you crash or another car hit you them just like a biker it’s going to serious hurt. At this point the money stayed in the bank account as I suspect I’d simply not get the use out of it, plus it was 25k for a car I may not use often. Still the most fun I’ve had in a car though on track or in a car park. Indeed. It looks like it would have been awesome.